The use of lemon balm has been documented in 300 BCE, which means that this herb has been in use for well over two millennia. Historians believe lemon balm to have originated in Southern Europe and was introduced to Spain in the 7th century by Moors. The Greeks referred to it by what is now its genus name—Melissa. Melissa is the Greek word for bee. 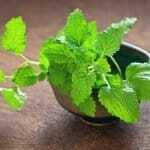 The Greek physician Dioscorides, who lived in the first century wrote that lemon balm aided with menstruation and gout. Pliny the Elder stated that lemon balm encouraged bees to return to their hives when planted in the vicinity of the hives. It would be cultivated all over Europe by the Middle Ages. The Persian philosopher Avicenna (who lived from the year 980 to 1037) wrote that lemon balm was an effective treatment for depression. Lemon balm was still being used in the 14th and 15th centuries as English herbalists Gerard and Culpeper promoted the use of lemon balm and espoused Dioscorides’ views regarding its efficacy. Gerard believed lemon balm to be beneficial for treating wounds; Culpeper considered it effective as a remedy for boils in addition to being valuable for spleen and liver health. Both claimed that it relieved melancholy and sadness. Lemon balm was used in Carmelite water, an herbal concoction of the Carmelite nuns that was first made in the 14th century or the 17th century, depending on which historical source you believe. Along with the lemon balm, Carmelite water contained angelica root along with lemon peel and nutmeg. It was thought to lengthen life and relieve headaches. Versions of it have been sold in Germany in the modern era. Lemon balm was used for strewing among church pews in the 1800s and the oil from it has been used as a furniture polish. Colonists would bring the herb to North America, where they used it in potpourri and in tea. It was used as a lemon substitute in jams and jellies as well as for attracting bees to hives. Thomas Jefferson was known to grow it in his garden. 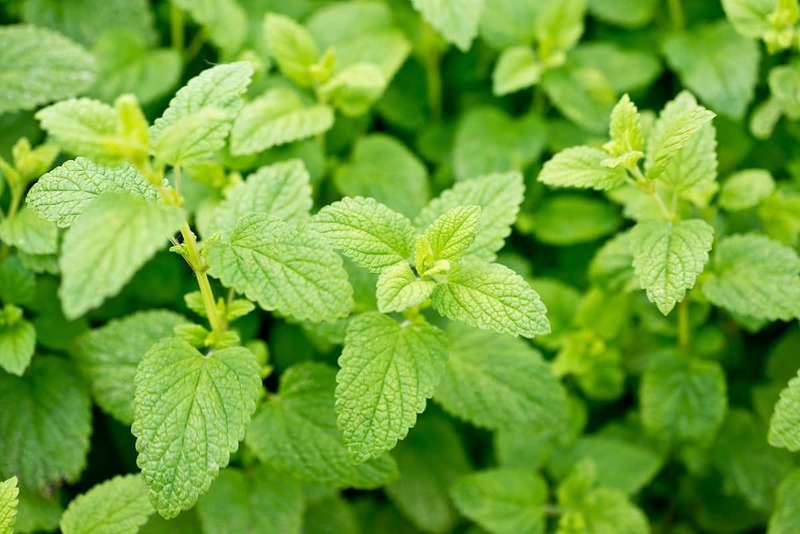 Lemon balm has a lemony flavor with a hint of mint. The flavor of the fresh herb is subtle and does not stand up well to long cooking, which means that it should be added at the end of the cooking time or used in lightly cooked (or uncooked) dishes. Vitamins: Lemon balm contains a significant amount of vitamin C and the fresh herb is a great source of it. It also contains a modest amount of thiamin, also known as vitamin B1. Flavonoids: Lemon balm contains flavonoids, which are phytochemicals that can also function as antioxidants. Rosmarinic acid: Rosmarinic acid is believed to have anti-inflammatory and antimicrobial properties. 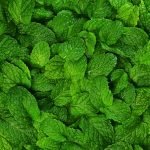 Cancer: The oil from lemon balm has been found to be effective against certain human cancers, indicating that it may be effective for reducing the risk of cancer development. Anxiety: Lemon balm has long been used to treat anxiety and is considered beneficial as a mild sedative. Colic: Early research has shown that lemon balm may help to relieve infant colic. Lemon balm is a common ingredient in Asian cuisine. In India, it is added to curries and other dishes. The Dutch use lemon balm to counteract the strong flavor of pickled eel. Elsewhere in Europe, lemon balm is used in dishes that also feature tarragon and is used to flavor the liqueur known as Chartreuse. Other applications include using it as a tea herb and as a source of lemon flavor in cocktails and other beverages. Add it to salads or use it in salad dressing as well as in custards, sorbets, and other desserts. 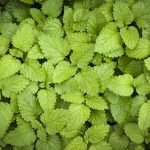 What's A Good Lemon Balm Substitute?